Investing.com – This week investors will have their attention firmly focused on monetary policy as the Federal Reserve, the Bank of England and the Bank of Japan issue updates at a time of increased market volatility. The Fed is widely expected to deliver a quarter point interest rate hike at its meeting on Wednesday and will also update its economic projections and the dot plot of interest rate projections. A post-policy meeting press conference by Fed Chair Jerome Powell will be closely watched. Concerns about the outlook for global growth along with trade tensions and market volatility have prompted traders to in 2019. Investors will also get an update on the health of the U.S. housing market, with Tuesday’s data on building permits and housing starts and Wednesday’s report on existing home sales. Reports on durable goods orders and manufacturing activity will also be in focus. The BoE is expected to leave monetary policy on hold at the conclusion of its meeting on Thursday, amid mounting uncertainty over Brexit. British Prime Minister Theresa May’s failure to win key concessions from the European Union to salvage her Brexit deal have added to concerns over the prospect of a ‘no-deal’ exit from the EU. The BoJ is also expected to keep monetary policy unchanged when its makes its policy announcement on Thursday as inflation remains nowhere near target and its economy shrank by the most in four years in the third quarter. Investors will also be watching political developments after U.S. President Donald Trump threatened to trigger a government shutdown if Congress refuses to pass a spending bill that allocates funds to pay a border wall. 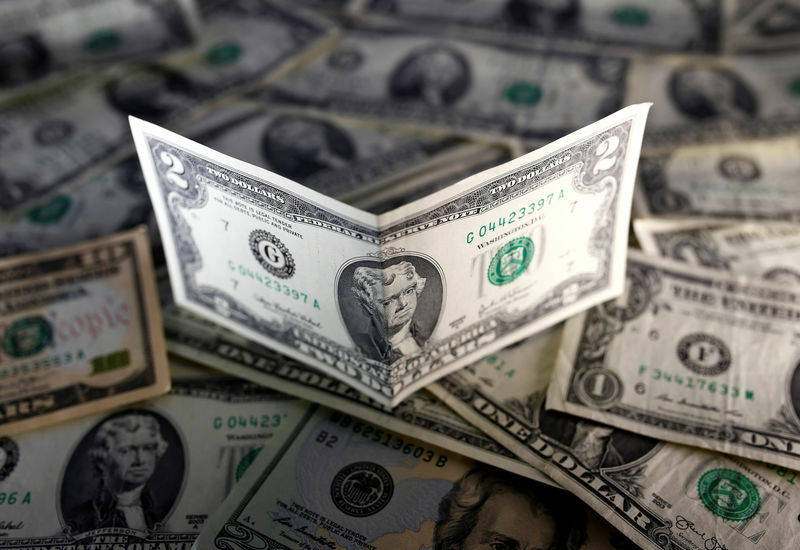 The dollar rose to a 19-month high against a basket of currencies on Friday, as worrisome political and economic news outside the U.S. drove a strong bid for the safety of the greenback. The , which measures the greenback’s strength against a basket of six major currencies, hit its highest level since May 2017, at 97.70, before pulling back to 97.43 in late trade. The euro was pressured lower as the euro zone’s two largest members showed signs of a slowdown, with ending down 0.48% at 1.1305. The pound was also lower, with off 0.41% at 1.2583, holding above Wednesday’s 20-month lows of 1.2476. The euro zone is to release revised inflation data and figures on trade. The U.S. is to report on manufacturing activity in the New York region. The UK is to publish inflation data. Canada is also to release its latest inflation figures. The Federal Reserve is to announce its federal funds rate and publish updated economic projections at its last policy meeting of the year. New Zealand is to release data on gross domestic product and trade. Australia is to publish its employment report. The Bank of England is to announce its latest monetary policy decision. The U.S. is to publish the weekly report on initial jobless claims and data on manufacturing activity in the Philadelphia region. The UK is to publish revised data on GDP along with reports on net borrowing and the current account. Canada is to report on GDP and retail sales, while the Bank of Canada is to publish its business outlook survey. The U.S. is to round up the week with revised data on GDP, reports on durable goods orders and personal spending and revised figures on consumer sentiment.